• Anti Ant Pet Bowl is dishwasher safe. 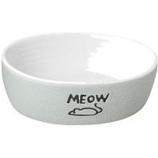 • Bowls without rubber ring is dishwasher safe and hand wash the rubber ring separately. • Dishwasher safe bowls can be easily removable for cleaning. • Bowl without rubber ring is dishwasher safe and hand wash the rubber ring separately. • All The Benefits Of Durapet Bowls But For Cats. • The Soho Basketweave Dish Is A Trendy Basket Weave Design With Non Skid Rubber Rim. Durable sleek stoneware in classic solid colors. Each bowl has a mouse silhouette design. No tip style. . . Durable stoneware with a pebble finish on the outside. Ribbed and glossy inside. Classic meow design with an embossed mouse. . . Durable stoneware dish with a grooved satin finish on the outside. Glossy finish on the inside is easy to clean. . . .